Unlike the Apollo missions, which were brief visits to the moon’s surface, the next NASA expeditions will each last for six months or longer. In part these missions will serve to prepare humans for long-term stays off of earth’s surface, with the final goal of putting people on Mars by 2030. 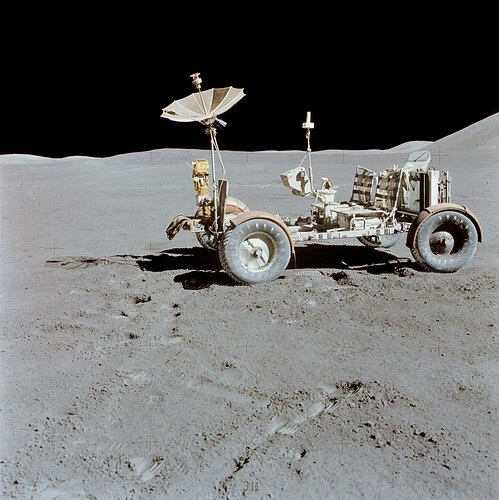 But they will also be occasion to explore more of the moon’s surface, a purpose for which the rover is specially suited. 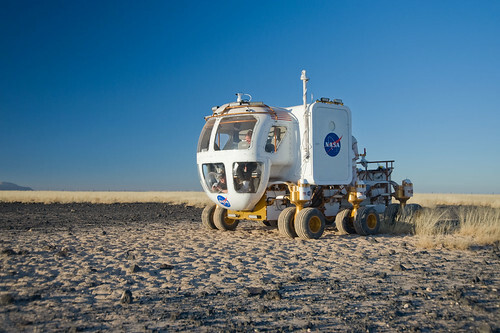 The ground-facing windows at the front of the rover will allow astronauts to inspect the surface from the safety of the cabin. When they see a specimen of interest, they can take a stroll outside by stepping through a hatch and into one of two suits attached to the back of the vehicle. The rover will make it’s first public outing on January 20th at Barack Obama’s inaugural parade. Don’t miss it.